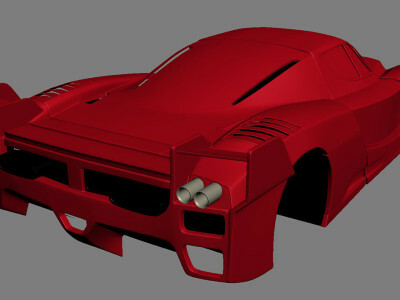 This is a personal projects I did a few years back. 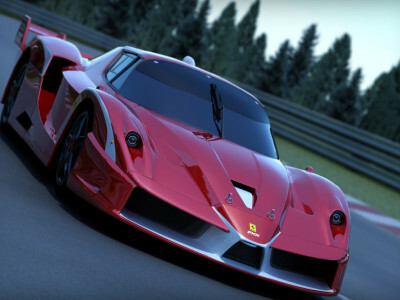 I have always had passion for racing cars and since the first GranTurismo came out, I have been dreaming to see Ferrari cars in it. 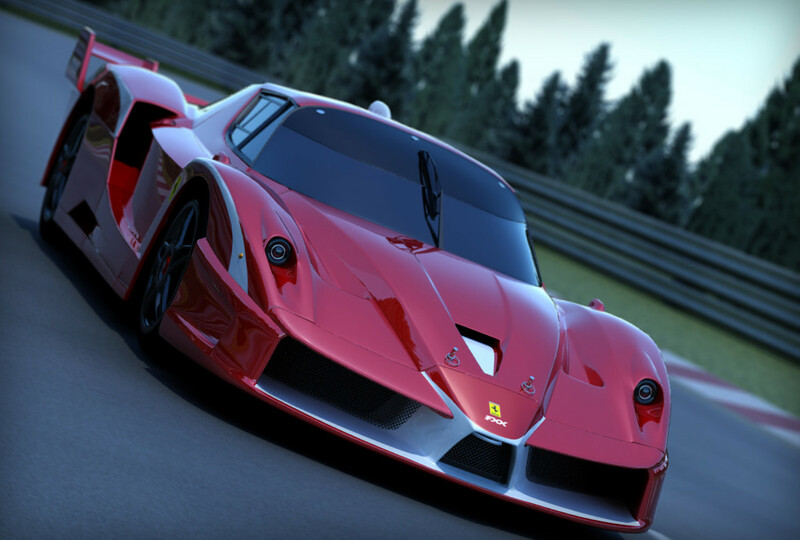 When they finally managed to include them in GT4, I decided to make a ‘GranTurismo style’ tribute myself to one of my favourite Ferrari ever. 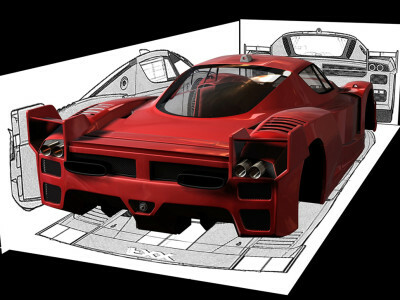 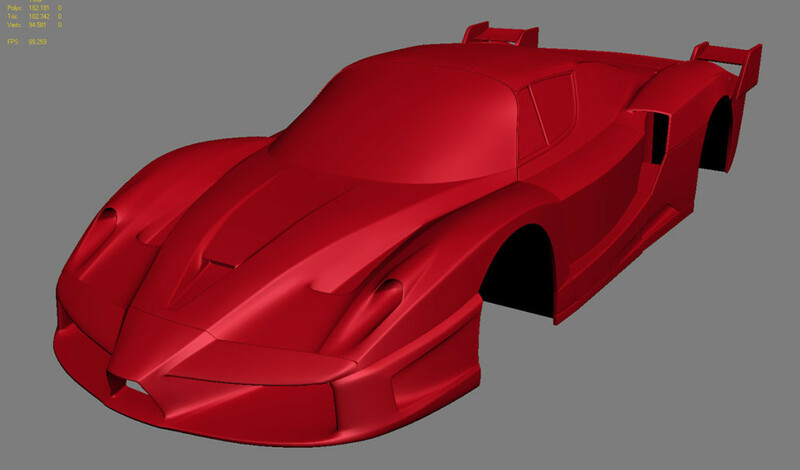 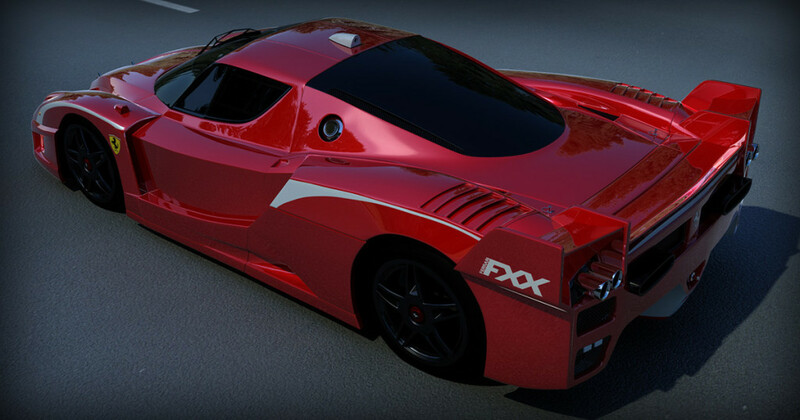 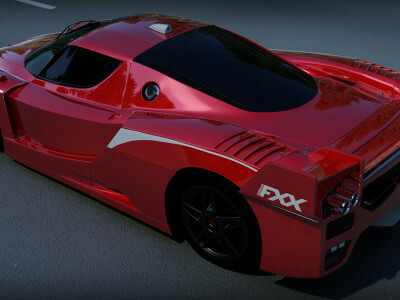 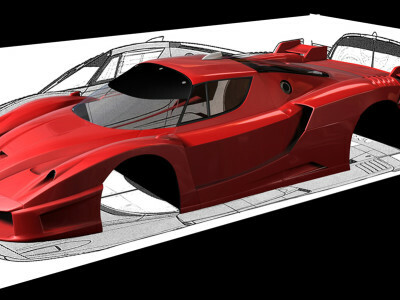 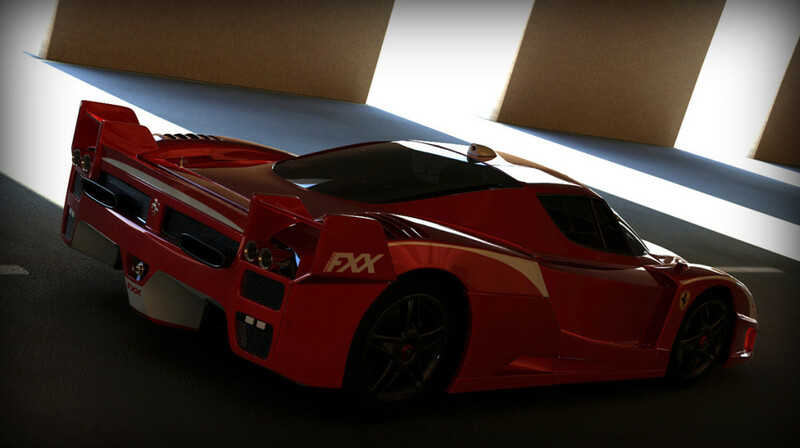 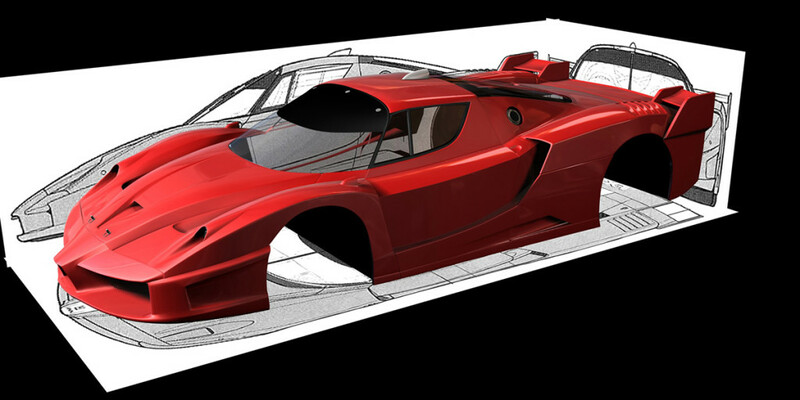 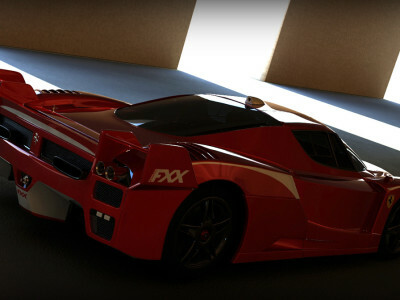 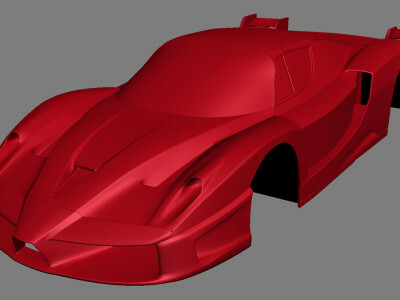 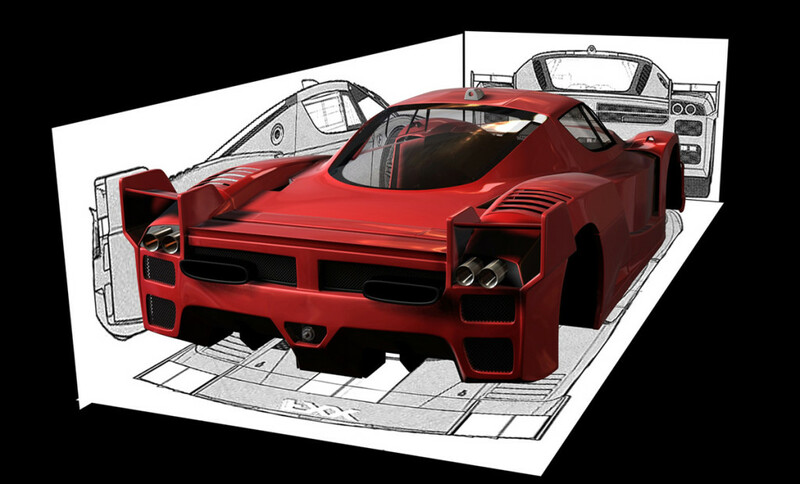 The FXX Evolution. 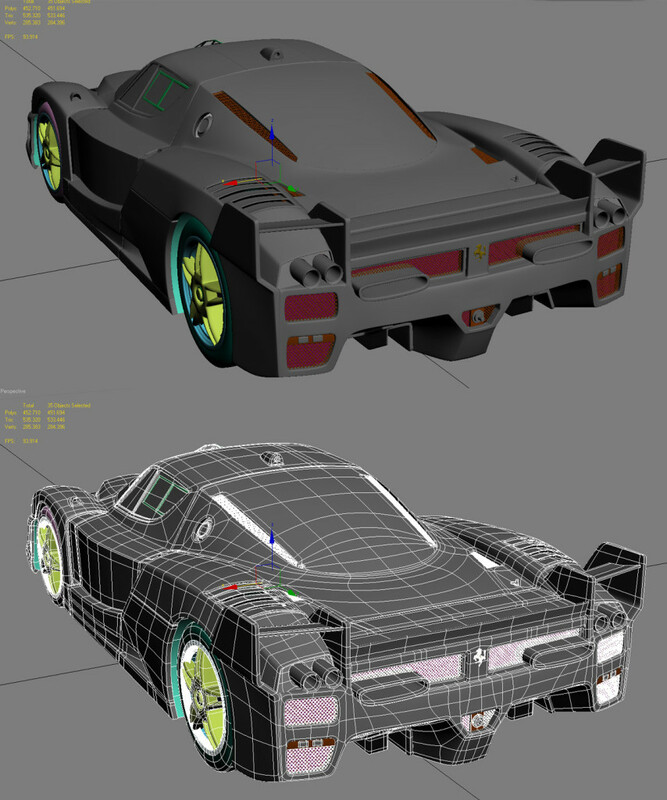 The project took me one and a half months. 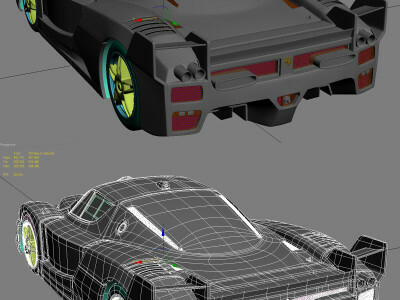 Here below you can find some more info. 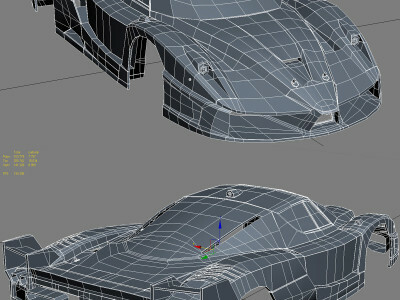 The polycount of the whole car (with 2 iterations of turbosmooth) is 451.694 polys. 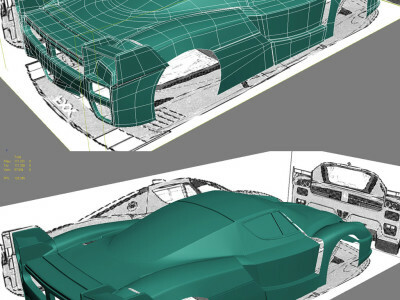 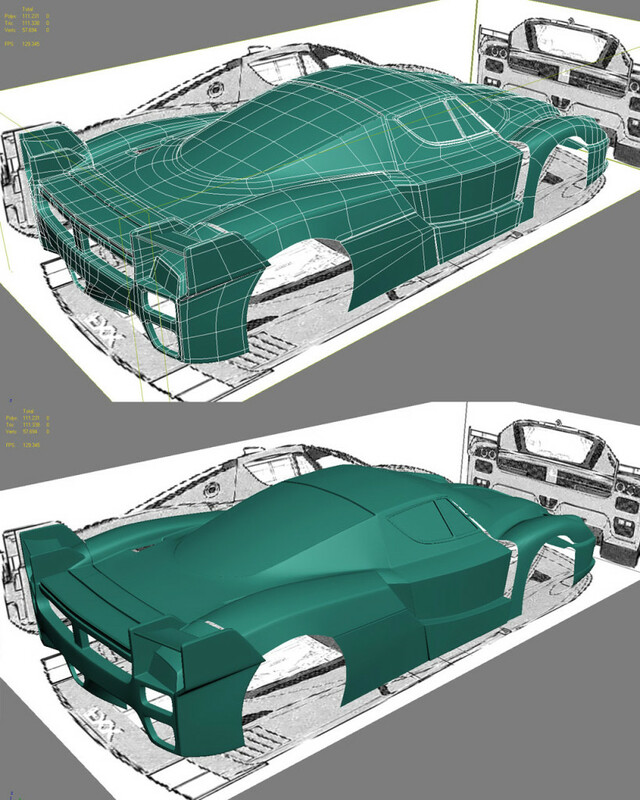 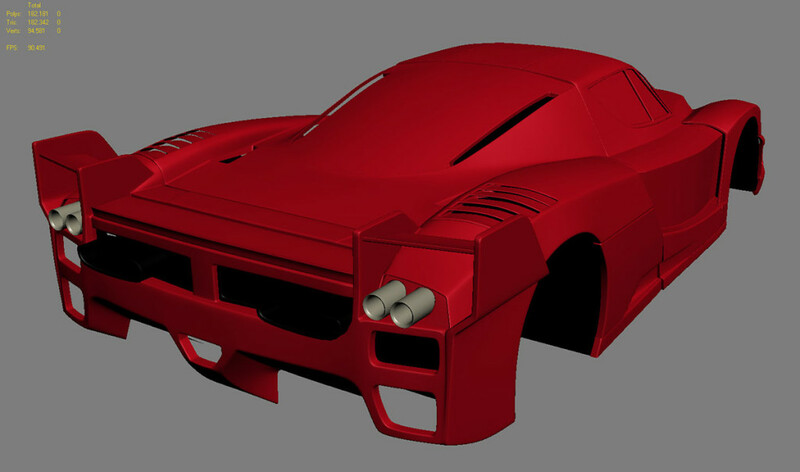 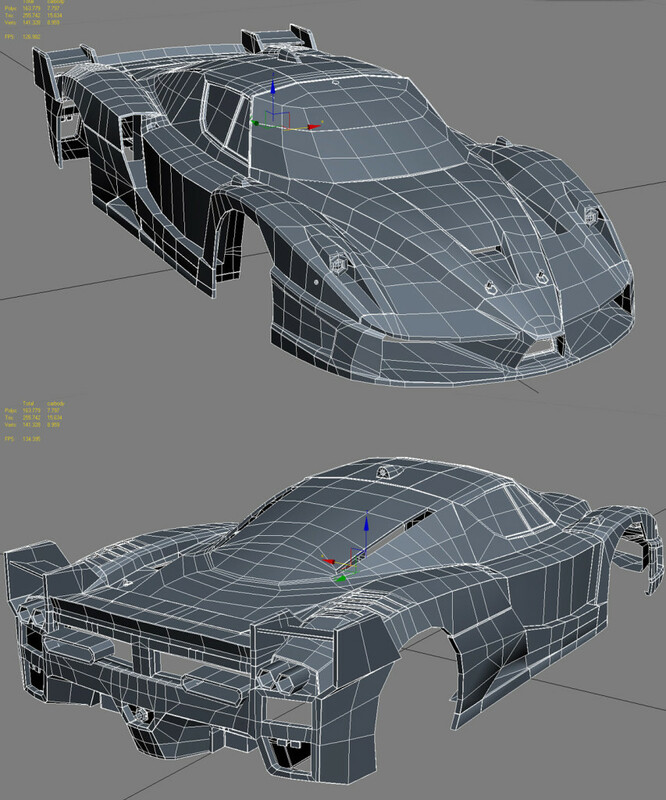 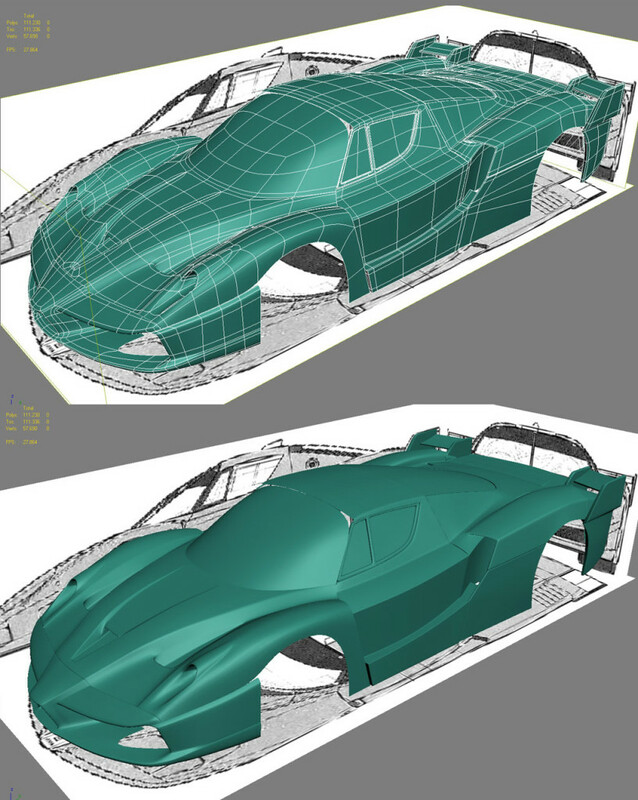 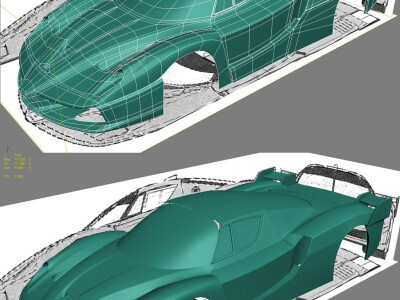 The low cage of the car body parts is olny 7797 polys.